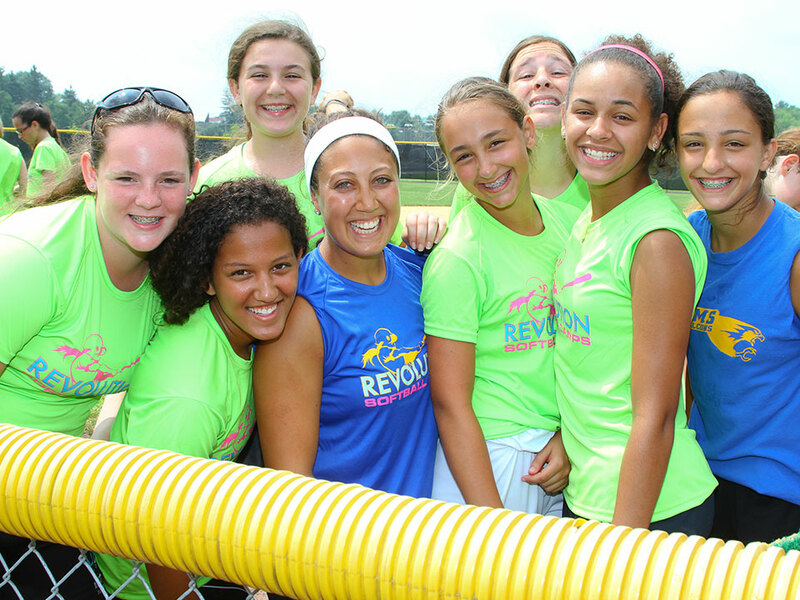 This summer softball camp will be the camp your daughter will talk about all year long. 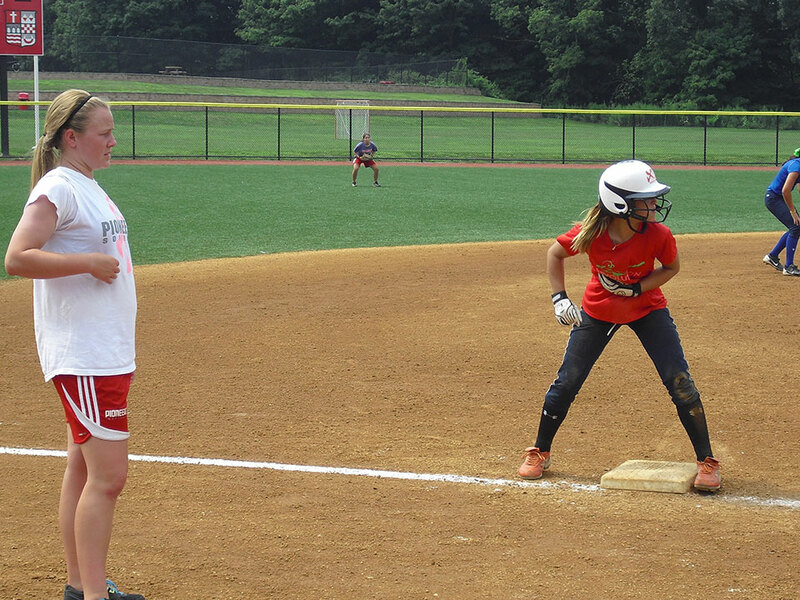 With top-notch softball facilities, air-conditioned dorm rooms and swimming pool as well as other activities to do, the Randolph Macon Softball Camp is the ideal location to send your child to have fun, get better, and meet new friends! Check In: Overnight Campers will check-in at the dorms between 12:00pm – 1:00pm. Commuters will check-in at the dorms between 12:30pm – 1:00pm. (Dorm location will be announced closer to the start of camp). The first meal served is dinner. Please arrive dressed and ready to play. Check Out: Parents are invited to attend final scrimmages that begin with warm-ups at 2:00pm. The last meal is lunch. Check-out for ALL CAMPERS will occur back at the softball fields at 4:00pm. 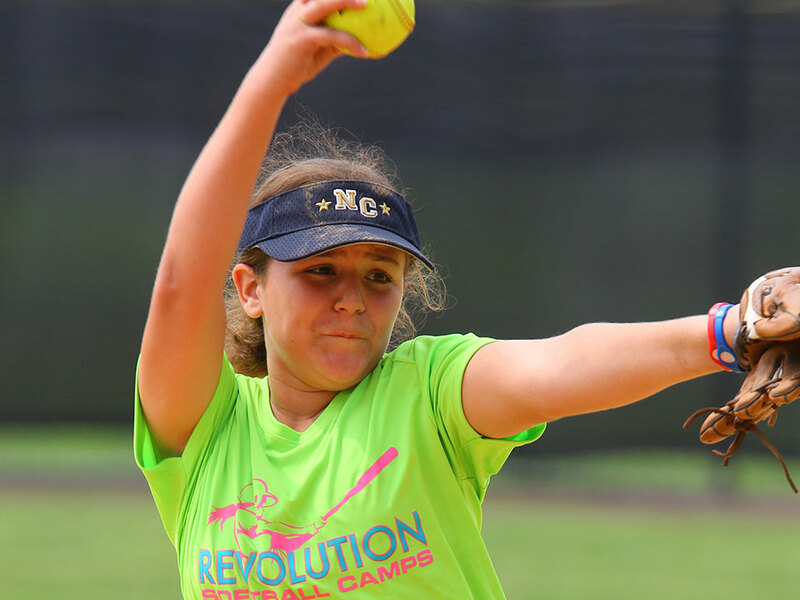 The nearest airport is Richmond International Airport in Richmond, VA. You are responsible for getting yourself to and from campus, Revolution Softball Camps does not provide transportation. Kevin Proffitt is in his 15th year as head coach of the Randolph-Macon Softball Program and recently revived his 300th career win. A 1986 Randolph-Macon graduate with a B.A. degree in Psychology, Proffitt was a letter-winner on the Yellow Jacket baseball team as a catcher. Under the leadership of Proffitt, along with assistant coaches Amanda Sopko ’15, Chip Bailey and Dana Wood, Randolph-Macon’s softball program continues to grow and improve on a regional and national level, having defeated multiple teams ranked in the Top 25 in the nation in Division III. R-MC claimed the program’s first ODAC Title in 2015 and made its first appearance in the NCAA Tournament, finishing as the runner-up of the Newport News Regional. The Yellow Jackets were ranked No. 8 in the Atlantic Region for the second consecutive season. The 2015 squad included the ODAC Rookie of the Year, three All-State honorees, two All-Region mentions and three All-ODAC performers. In 2014, the Yellow Jackets’ success continued as they received votes in the NFCA Top 25 poll and again finished the year ranked No. 8 in the Atlantic Region. They advanced to the Old Dominion Athletic Conference Tournament Championship Game for the first time in program history. In 2013, R-MC set program records for most wins in a regular season as well as in the Old Dominion Athletic Conference with a 34-9 overall record and a 15-5 finish in the conference. This included a home record of 23-0. The softball program also received its first-ever national ranking when it entered the National Fastpitch Coach’s Alliance Top 25 poll at No. 22 in the country. R-MC also finished the 2013 campaign ranked No. 8 in the Atlantic Region. 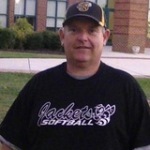 Proffitt was named the recipient of the Randolph-Macon College Athletic Department’s Hugh Stephens Coach of the Year Award in the spring of 2012 and 2013. Fellow R-MC coaches voted on the award. In 2008 and 2012, R-MC would once again set single-season records for victories in a season with 24 wins in 2008 and 29 in 2012. Proffitt was recognized as the 2007 Old Dominion Athletic Conference Coach of the Year after the Yellow Jackets reached the ODAC Tournament and posted 21 wins, then a school record. Proffitt is proud of the opportunity he has had to coach all of the young women that have come through the softball program. R-MC has produced many All-Conference, All-State and All-Regional performers and also one All-America nominee over the past 13 years.